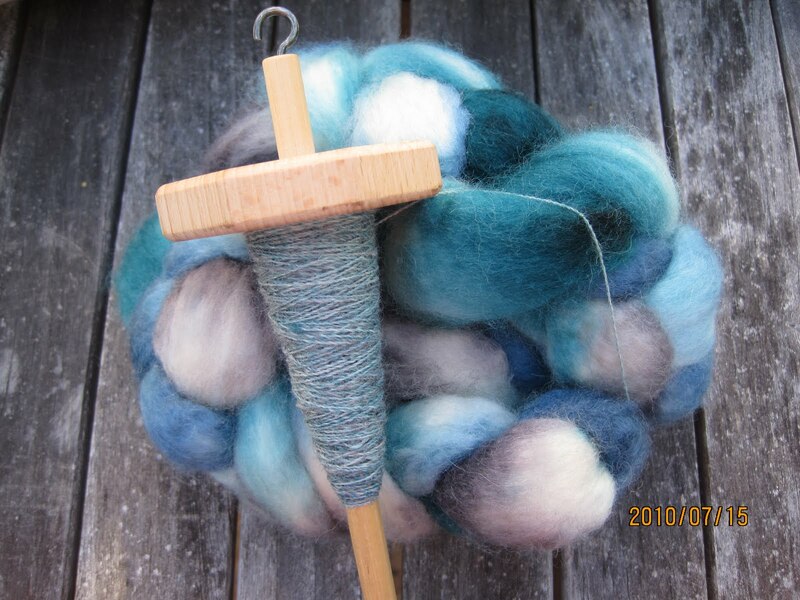 Keeping up with my daily spinning goal. 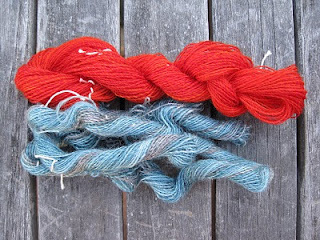 Increments of 7grams are small enough for variety (and a sense of accomplishment) and large enough to make a respectable hank of fine gage plied yarn. 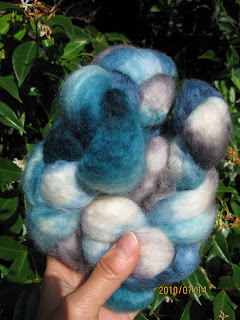 The ritual of sitting and posting simple blog posts has not yet set in (despite the deliberate thought and intention to post, but I pick up the spindle instead - hey what can I say - I just go with the spinning), so here is the erratic entry. 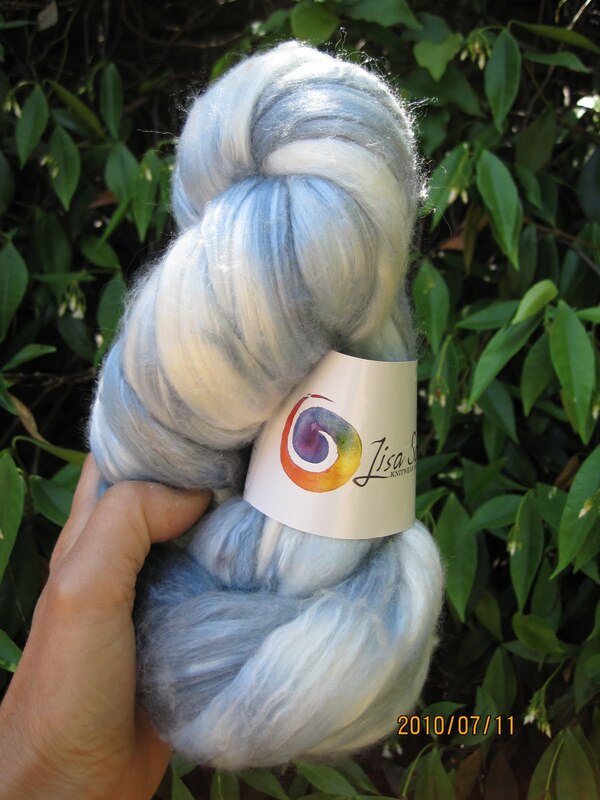 _Lighter than air - Lisa Souza fiber - "Zen Top", "Silver Lake", 50/25/25 - merino/tussah silk/bamboo. 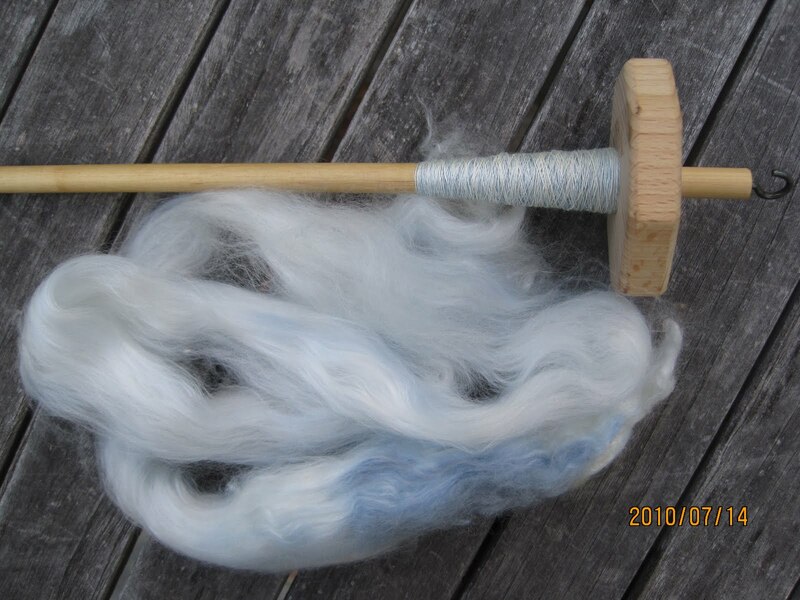 This is incredible fiber that spins to a fine thread. I became one with the arachnids. _another 7grams of "Flame" from fiberfiend plus a second 7grams round of "At the Tank" from knitflix. _"At the Tank" is in the tank, setting twist. _I am learning that fiber color becomes very intense when spun. This observation is logical in hindsight but not fully realized by me until these bundles were completed. 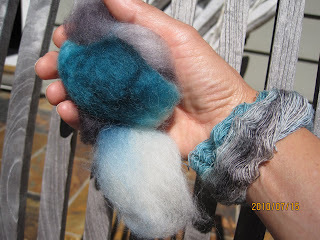 So I'm beginning to see color in fiber differently, i.e. 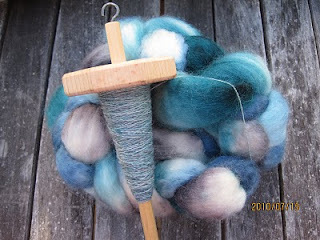 in spun form instead of fiber form. _Additionally, I am delighted to get to know these various fiber types - SW corriedale (wonderful) , any mix with bamboo or silk (WOW what a sensation, and how thin can I make this anyway?! 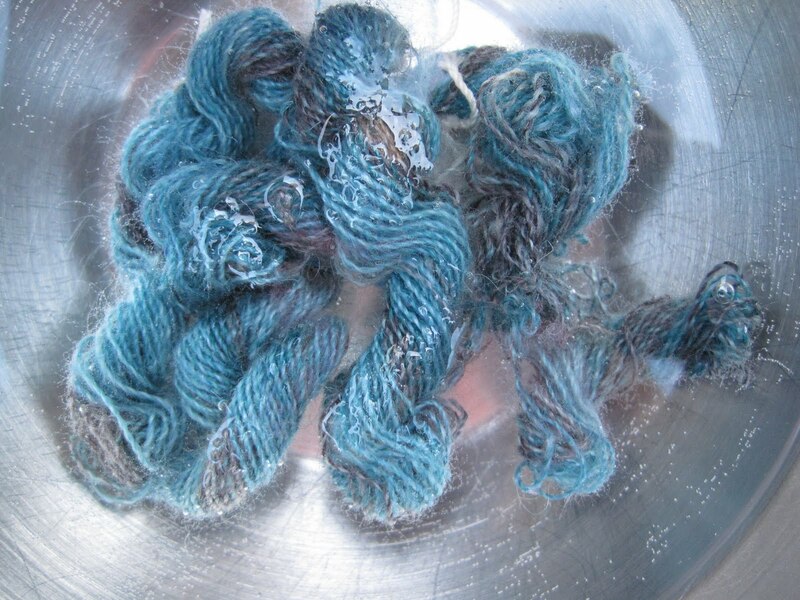 ), SW-BFL (incredible staple length). _I love the smell of drying wool. Reminds me of childhood. _Although I am still spinning very fine gage, I am beginning to control the amount of twist, which in my case means that I'm trying not to overspin the singles. 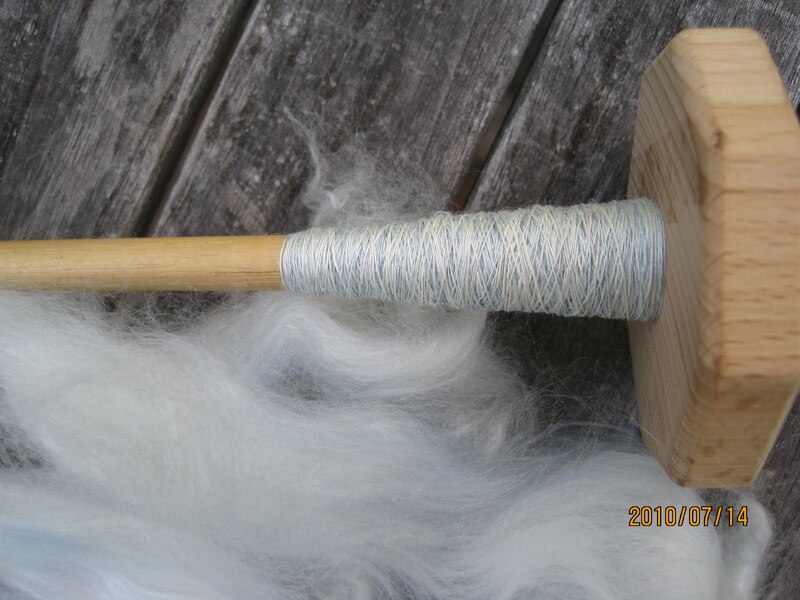 My spindle drops more (gak) but I suppose I'm also learning how to splice more effectively too. _In addition to the surprise gift (thank you again!) 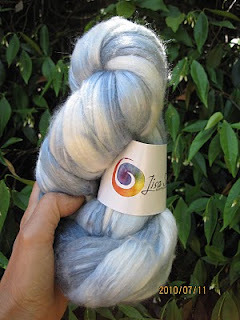 of fiber from knitflix, I also rec'd a few simple blogging tips, but I haven't used too many of them and I'm still wading through html, so apologies to all y'all.